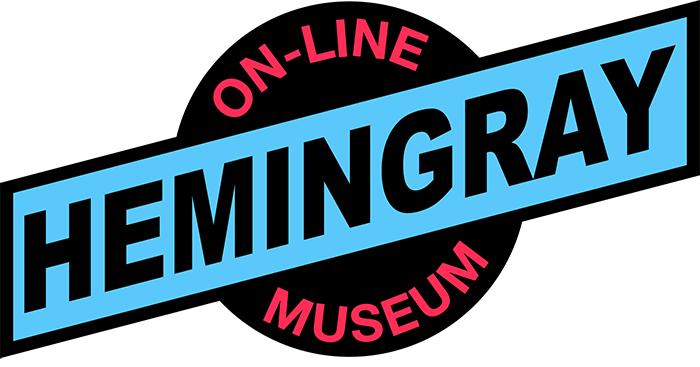 Welcome to the Hemingray on-line Museum. On this site you will find photos of hundreds of glassware made by Hemingray Glass Co, vintage advertising showing Hemingray glass, research articles, information on identifying Hemingray made items and naturally, many photos of Hemingray made insulators, after all, Hemingray was the worlds largest manufacture of Glass insulators. Brief overview of key dates for Hemingray Glass Co.
1848 Hemingray was founded by Robert Hemingray and Ralph Gray. 1850's Hemingray started making lightning rod insulators. 1871 On December 19, 1871 Robert Hemingray receives a patent for the molding of telegraph insulators. 1888 Hemingray announced in January of 1888 it would move part of its glass factory operations to Muncie, IN. 1893 On May 2, 1893 Hemingray is granted the patent for Drip Points. 1907 Hemingray was manufacturing 50 Million insulators per year! 1919 Hemingray moved its general office from Covington, KY to Muncie, IN. 1922 The first Hemingray 42 was made. 1933 Owens-Illinois buys Hemingray Glass Co. For $1,000,000. 1937 The 1 Billionth Hemingray glass insulator was made. 1952 Kimble Glass Co. takes over the Hemingray division to produce Kimble power insulators. 1966 In March, the last Hemingray glass building block was made. 1967 The last Hemingray insulator was made. 1972 On September 1, The Muncie, IN plant closes. 2011 On September 4, 2011 In Muncie, IN, Hemingray Glass Co. Site becomes a Historic site. Exactly 123 years after Hemingray moved to Muncie See the video and photos!